What is the cheapest way to get from Orbost to Dandenong? The cheapest way to get from Orbost to Dandenong is to bus and train which costs $30 - $50 and takes 5h 26m. What is the fastest way to get from Orbost to Dandenong? The quickest way to get from Orbost to Dandenong is to drive which costs $40 - $65 and takes 3h 57m. Is there a direct bus between Orbost and Dandenong? No, there is no direct bus from Orbost to Dandenong. However, there are services departing from Nicholson St/Wolseley St and arriving at Dandenong via Bairnsdale. 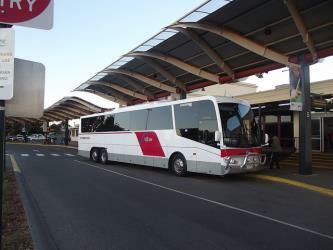 The journey, including transfers, takes approximately 5h 28m. How far is it from Orbost to Dandenong? The distance between Orbost and Dandenong is 288 km. The road distance is 342.3 km. How do I travel from Orbost to Dandenong without a car? The best way to get from Orbost to Dandenong without a car is to bus and train which takes 5h 26m and costs $30 - $50. How long does it take to get from Orbost to Dandenong? 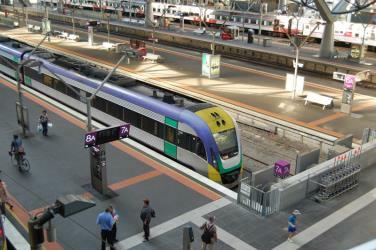 It takes approximately 5h 26m to get from Orbost to Dandenong, including transfers. Where do I catch the Orbost to Dandenong bus from? Orbost to Dandenong bus services, operated by V-Line, depart from Nicholson St/Wolseley St station. Where does the Orbost to Dandenong bus arrive? 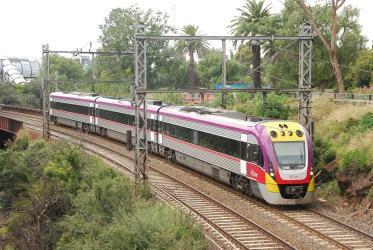 Orbost to Dandenong bus services, operated by V-Line, arrive at Dandenong station. Can I drive from Orbost to Dandenong? Yes, the driving distance between Orbost to Dandenong is 342 km. It takes approximately 3h 57m to drive from Orbost to Dandenong. Where can I stay near Dandenong? There are 455+ hotels available in Dandenong. Prices start at $125 AUD per night. What companies run services between Orbost, VIC, Australia and Dandenong, VIC, Australia? 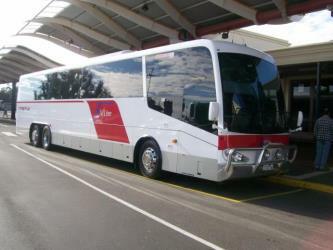 You can take a bus from Orbost to Dandenong via Bairnsdale in around 5h 28m. The Royal Botanic Gardens Victoria at Cranbourne Gardens, is a division of the Royal Botanic Gardens, Melbourne. 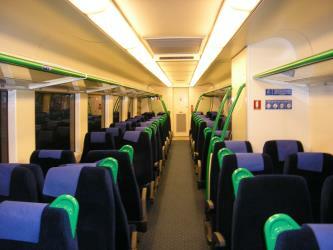 It is located in the suburb of Cranbourne, about 45 km south-east of the Melbourne city centre. Waverley Park (originally VFL Park) was an Australian rules football stadium in Mulgrave, Victoria, Australia. For most of its history, its purpose was as a neutral venue and used by all Victorian based Victorian Football League/Australian Football League clubs. However, during the 1990s it became the home ground of both the Hawthorn and St Kilda football clubs. It ceased to be used for AFL games from the 2000 season, following the opening of Docklands Stadium. It is currently used as a training venue by Hawthorn. The main grandstand and oval are listed on the Victorian Heritage Register. The seating capacity is now 8,000, down from a peak of 72,000. The Australian National Aviation Museum is an aviation museum at the Moorabbin Airport in Melbourne, Victoria, Australia. It was founded in 1962 as the Australian Aircraft Restoration Group, an attempt to maintain a World War II-era Bristol Beaufighter aircraft. It has since become a museum, with a large aircraft collection. It was originally named the Moorabbin Air Museum. As of 2008 it held 50 aircraft and 25 engines. The Puffing Billy Railway is a narrow gauge heritage railway in the Dandenong Ranges near Melbourne, Australia. The primary starting point, operations and administration centre, main refreshment room (also selling souvenirs) and ticket purchasing are located at Belgrave station. Journeys may also be commenced at out-stations of which some have limited facilities for the purchase of tickets, refreshments and souvenirs. 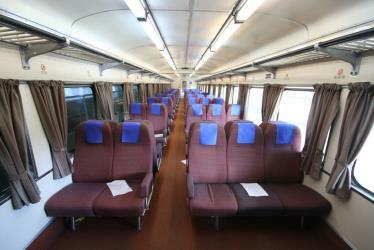 Tickets usually may also be purchased from the conductor aboard the train. Rome2rio makes travelling from Orbost to Dandenong easy. Rome2rio is a door-to-door travel information and booking engine, helping you get to and from any location in the world. 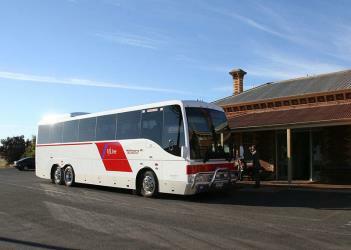 Find all the transport options for your trip from Orbost to Dandenong right here. Rome2rio displays up to date schedules, route maps, journey times and estimated fares from relevant transport operators, ensuring you can make an informed decision about which option will suit you best. Rome2rio also offers online bookings for selected operators, making reservations easy and straightforward.